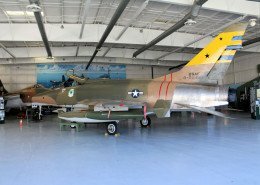 On Saturday, November 7, 2015, the Palm Springs Air Museum dedicated F-100D 55-2888. 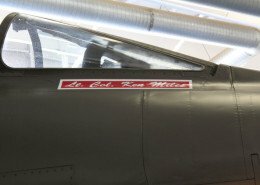 The jet was acquired from a private owner by Al Dempsey and donated to the museum. 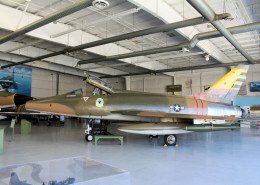 This Hun is the only flyable F-100D but did require some restoration and repainting. 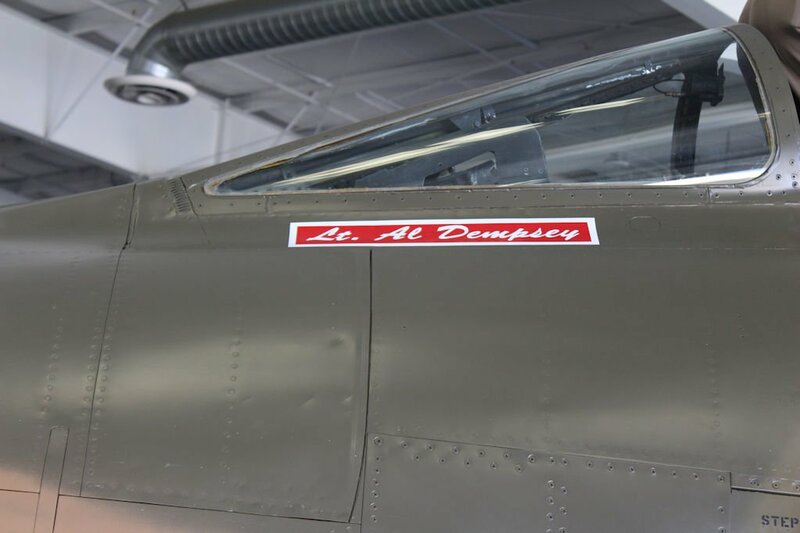 Lt. Al Dempsey’s name and his 458th TFS squadron patch is on the left side. 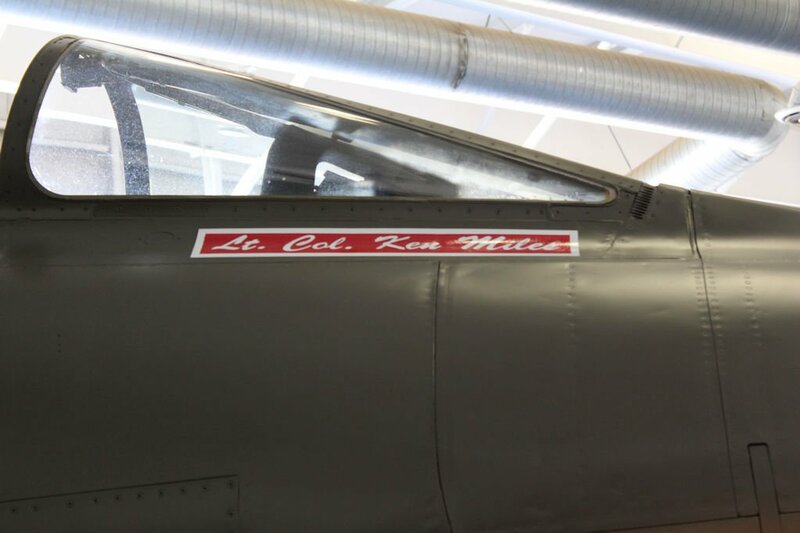 Lt. Col. Ken Miles’ name and his 614th TFS squadron patch is on the right side. 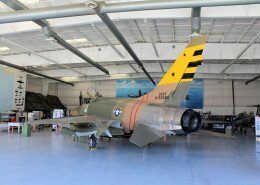 Eventually, this F-100 will be moved to a new hanger that will named to honor Maj. Gen. Ken Miles who contributed so much to the museum. 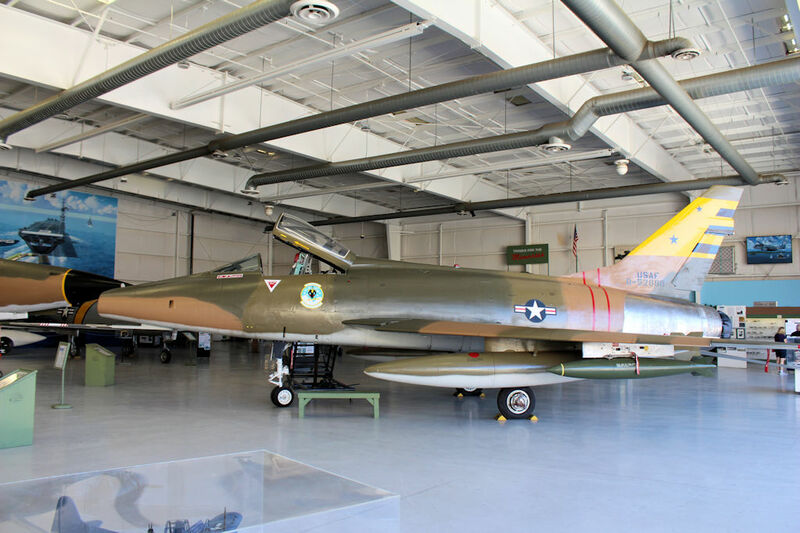 During the Friday night preview, Al described the history of 55-2888 and the complicated task of acquiring the jet. 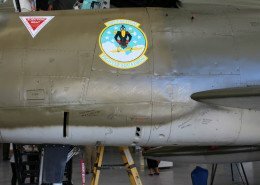 To rap up the Friday evening event Bob Lilac toasted the attending Hun pilots by standing on his head and downing upping a drink. The Saturday dedication began with the local high school ROTC students presenting the colors. 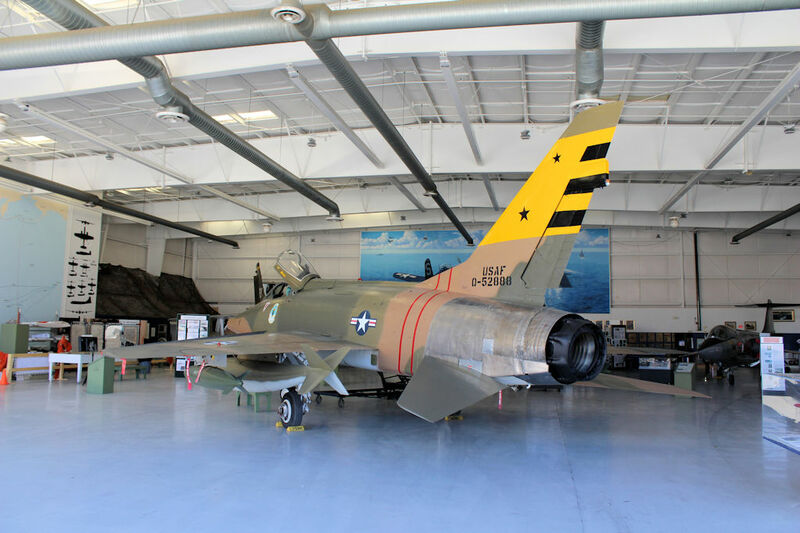 The event was attended by the Palm Springs Air Museum staff, many of the 220 volunteers and approximately fifty F-100 pilots. After the speeches, the beloved Hun was unveiled and champagne toasts were made. The closing included a group picture in front of 55-2888 and each pilot signed the aircraft. 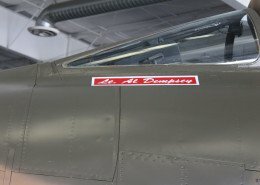 As others mingle, the pilots got some cockpit time and more pictures. 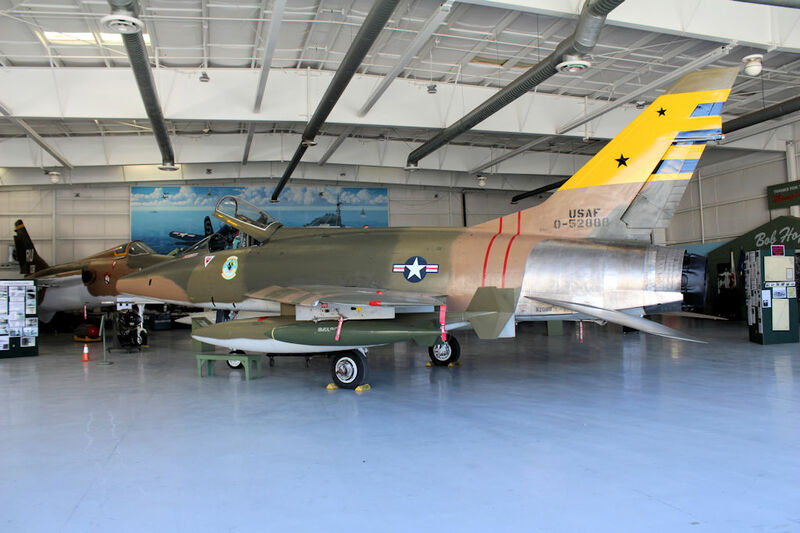 Congratulations to the Palm Springs Air Museum for a wonderful event and honoring those who loved the F-100 the most.